H.G. Wells Races Through Time to Catch Jack the Ripper! In general, we find two kinds of time travel movies. One variety takes people from the present and sends them to different eras. The Back to the Future flicks went that way, as did the TV show Quantum Leap. The other sort shows folks from different eras who come to visit the present. That happened in both Terminator movies as well as Star Trek IV: The Voyage Home. Normally movies of the latter variety feature future people who head back into the past. This makes sense since those films need to develop a reality in which time travel is a reality. Since we know that inhabitants of the 19th century lacked the technology to make this happen, it wouldn’t seem feasible for them to come and visit us. Or would it? In 1979’s Time After Time, writer/director Nicholas Meyer finds a way to bring a resident of 1890s Britain into the 20th century and still allow it to seem believable. He does this via the use of a historical figure of the era: writer H.G. Wells. As many know, Wells penned a book called The Time Machine. In the film, we’re informed that Wells (Malcolm McDowell) actually constructed the device depicted in his text. He reveals this to a panel of cronies that includes respected surgeon John Lesley Stevenson (David Warner). Unbeknownst to Wells or his friends, however, it turns out that Stevenson is actually the notorious Jack the Ripper. Minutes before the confab, Jack offed another prostitute, and the police track him to Wells’ place. However, Stevenson makes an inexplicable escape. Before too long, Wells figures out what happened. Stevenson took off in the time machine and landed in 1979, where he remained. 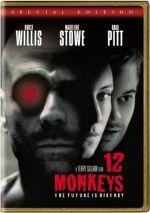 A safety mechanism caused the device to come back to Wells’ basement, and he heads out in search of his villainous friend. Bizarrely, the craft lands in 20th century San Francisco, not Wells’ native London. (A museum hosts a Wells exhibit that recreates his home with original materials; it’s an odd explanation of the shift, but if we accept time travel, this shouldn’t be that much of a stretch.) Wells attempts to get his bearings in this new society - one that he anticipated would be a social utopia - while he also tracks Stevenson. As part of the latter effort, Wells meets Amy Robbins (Mary Steenburgen), a bank employee who exchanges foreign currency. She encountered Stevenson the prior day and tells Wells at what hotel to find the villain. She also makes a move on him, as she quickly becomes smitten with him. At that point, the movie develops more along the lines of a love story. Wells and Amy fall for each other and the search for Stevenson takes the backseat. However, it eventually pops up again, and inevitably the two paths intertwine. Over the years, Time After Time earned a great deal of positive attention, but I never saw it until I received this DVD. I think all of us have films that we want to see but takes years to actually do so, and Time was one of those for me. While I was happy to finally check it out, I can’t say that it did a lot for me. I enjoyed the film and thought it offered a lot of positives, though. The premise seems outstanding. Meyer takes unrelated history via the reality of both Wells and Jack the Ripper and joins them in an inventive way. That linkage might have been enough, but to then send the Ripper across the years and force Wells to play detective and chase him appears inspired. Though this concept creates many “fish out of water” situations, Meyer doesn’t lay them on too thickly. These bits pop up from time to time, but the film doesn’t rely on them heavily. The movie easily could have degenerated into a series of Wells’ reactions, so I appreciate restraint shown by Meyer; he includes just enough to satisfy our appetites. Time features a solid cast, and they all offer good work. Better known for nasty roles like Alex in A Clockwork Orange, McDowell played against type as the idealistic and fairly innocent Wells, and he did nicely in the part. He maintains a certain wide-eyed naïveté but also comes across as intelligent and forceful. Warner manages to make Stevenson believably ruthless and cruel but avoids a one-note performance, while Steenburgen brings her usual warmth and likability to the fairly bland role of Amy. Where Time falters relates to its execution. This was Meyer’s first directorial effort, and he still seemed wet behind the ears. Time exhibits inconsistent pacing and lacks the necessary focus. I know that Meyer didn’t intend for the Ripper part of the story to be its main thrust; he felt more interested in the love story between Wells and Amy. That’s fine, but the chase for Stevenson gets a little too lost along the way; it feels like the story makes too much of a detour. Because then we’d have no movie. Admittedly, these are small concerns, and when you watch a film of this sort, you really need to toss most thoughts of that sort out of the window; these issues become inevitable. Despite some problems, Time After Time offers a generally compelling and enjoyable piece. It isn’t quite as terrific as I expected, but it seems fairly solid nonetheless. 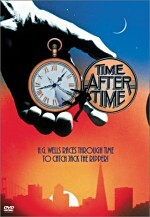 Time After Time appears in an aspect ratio of approximately 2.35:1 on this single-sided, dual-layered DVD; the image has been enhanced for 16X9 televisions. Though not without concerns, overall l found Time to provide a satisfying picture. Sharpness seemed solid. The movie presented a nicely crisp and well-defined image at virtually all times. I noticed very few scenes that displayed even a little softness, as the flick stayed distinct and accurate. Jagged edges and moiré effects created no concerns, but I did notice a little edge enhancement at times. Print flaws caused only a few small problems. I noticed occasional specks, marks and grit, but usually the film seemed reasonably clean and fresh. Time presented a fairly subdued palette, and the DVD presented those tones well. The project took on a brownish tint much of the time, but the different hues seemed appropriately clear and vibrant throughout the movie. I never felt the colors looked terrific, but they appeared more than adequate. Black levels came across as deep and dense, while shadow detail was logically heavy but not overly thick. Low-light situations came across as visible and accurate. In the end, Time After Time looked quite good, and it earned a solid “B”. The Dolby Surround 2.0 soundtrack of Time After Time showed its age but it worked reasonably well. Not surprisingly, the mix emphasized the forward channels. Audio spread fairly well across the front channels, but localization of effects seemed somewhat mushy and ill defined at times. The material didn’t appear to show great placement and integration. This meant the track created a “wall of sound” at times, but I still felt the definition and movement seemed fine for the era. The score presented nice stereo imaging. The rear speakers offered little more than general reinforcement of the music and effects; they provided passive elements. Audio quality was also somewhat flawed but decent for the era. Speech sounded acceptably natural most of the time, but I noticed some edginess and sibilance at times. I also felt that the dialogue occasionally bled between channels, though not to a tremendous degree. Effects presented fairly accurate and distinct elements, but they lacked much range and also showed some mild distortion at times. The score appeared to show similar qualities, as the music sounded acceptably clear but could be somewhat flat. Bass response tended to appear fairly deep but came across as somewhat muddy. In the end, the audio of Time After Time did nothing particularly well, but the results still seemed more than passable for an older film. On this DVD of Time After Time, we find a few extras. 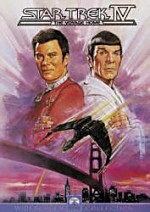 Of these, we get only one significant one: an audio commentary from director Nicholas Meyer and actor Malcolm McDowell. Both were recorded separately for this screen-specific piece, though the editing tried to create the impression they sat together; as also occurred for the Hart’s War, the commentary creators stuck the remarks together in such a way to make us think that each man responds to the other. They don’t succeed, and I find this approach distracting. Otherwise, this commentary seems very interesting. Meyer and McDowell cover a nice mix of topics. They go over the genesis of the piece and its general production as well as anecdotes from the set and statements about the other participants. They also discuss their impressions of certain parts of the movie, and those comments include a few criticisms as well. A few moderately large empty spots occur during the commentary. Overall, this track offers a pretty entertaining and informative piece. Within the Cast and Crew area, we just get a list of participants; no biographies or filmographies appear. A text piece called It’s About Time offers a short discussion of films that involve time travel. 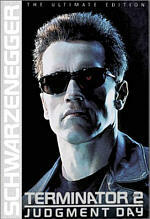 Oddly, this omits the Terminator flicks. Lastly, we get a collection of trailers. We find the ad for Time After Time as well as The Time Machine (1960) and The Time Machine (2002). All three are anamorphic. The first two offer 1.85:1 image with monaural sound, while the last one’s 2.35:1 with Dolby Surround 2.0 audio. With its creative premise, Time After Time remains a cult favorite among movie fans. I think the film does more right than wrong, but it doesn’t totally wow me. Nonetheless, it provides a lively and clever experience that works for the most part. The DVD offers fairly strong picture and sound along with a few extras highlighted by a generally interesting audio commentary. With a relatively low list price, Time After Time should reach a sizable audience, and it merits a recommendation.